Ravi Karunanayake’s first foreign trip as Foreign Minister, not surprisingly to India, comes at a time when much is in the balance in Sri Lanka’s relations with key stakeholders in the development process. Sri Lanka’s decisions relating to ports and their development have suddenly become a high-stakes game of balancing the interests of foreign powers engaged in a race to advance their own strategic interests in the region, on the one hand, with Sri Lanka’s national interest, on the other. After having put up a tough fight to safeguard Sri Lankan interests (and control) in negotiations with China over Hambantota port and related investments, former Ports Minister Arjuna Ranatunga, as Minister of Petroleum Resources now faces the challenge of handling another political hot potato, the Oil Tank Farm in Trincomalee, where India seeks to extend its grip with projects that will (reportedly) include “A Port, Petroleum Refinery and other industries.” Again he will be dealing with strategic assets where the outcome of negotiations will have far reaching consequences. 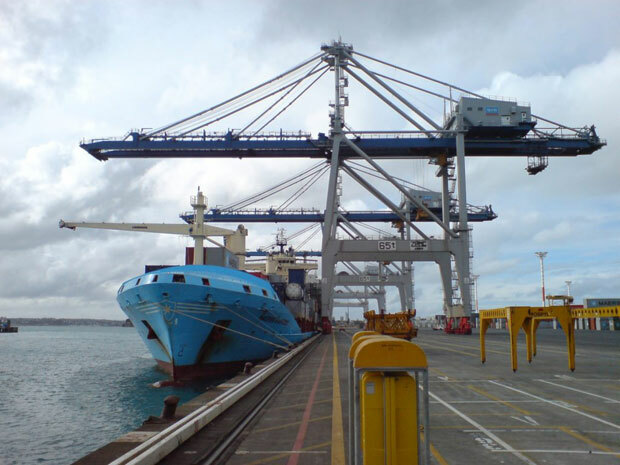 Recent developments show that the Colombo Port too has now come into the mix. It may not have been immediately evident to the casual observer, but the Indian proposed“LNG Terminal / Floating Storage Regasification Unit (FSRU) in Kerawalapitiya/Colombo,” referred to in the MoU signed during Prime Minister Ranil Wickremesinghe’s trip to Delhi in April, will actually translate into India having a stake in the Colombo Port. This is because of the nature of Liquefied Natural Gas-related operations, which require special docking and storage facilities. LNG as a energy source is new in Sri Lanka, and requires infrastructure that is not available at this point. “LNG is natural gas that has been converted to liquid form for ease of storage or transport” according to Wikipedia. “It takes up about 1/600th the volume of natural gas in the gaseous state,” making it “cost efficient to transport over long distances where pipelines do not exist.” It is shipped in specially constructed vessels and once it reaches its destined market it is converted back into the gaseous state and distributed in pipelines. According to the Indian proposal, it would be used to fuel a (Indian-built) LNG-fired power plant in Kerawalapitiya, 12 km north of Colombo. Asked if the docking of special tankers carrying LNG would require a new port on the Sri Lankan coast off Kerawalapitiya, Power and Energy Ministry Secretary Dr. Suren Batagoda said that the tankers would dock within Colombo Port. “The terminal will be in the Colombo Port; the port has agreed to that” he said, adding that feasibility studies had to be carried out. The project will be a joint venture with one Indian company, one Japanese company and the Ceylon Electricity Board he said. Petronet is a joint venture with the Government of India along with other players in the Indian oil and LNG industry, including Indian Oil Corporation, whose subsidiary Lanka IOC is already in the petroleum products retail business in Sri Lanka, with an oil terminal and other facilities in Trincomalee. In Delhi, Minister Karunanayake’s remarks to journalists at the end of his two-day visit indicated that India is being encouraged to extend its stake in Colombo Port (beyond the proposed LNG project) by bidding for building the Colombo East Container Terminal as well. The East Terminal is located near the Colombo International Container Terminal (CICT) – now being operated as a joint venture with China Merchant Holdings International Company on a build-operate-transfer (BOT) basis. Also just outside the port, is the Chinese-funded Port City project which has re-commenced. About 70% of the Colombo Port’s shipping consists of Indian trans-shipment cargo. “We have a Chinese-built facility, operated by a Chinese company, handling 70% of Indian cargo” as Sri Lanka’s former Navy Chief , Adm. Jayanath Colombage observed with some irony in an interview with Times of India last month. The Foreign Minister would surely know that in encouraging Indian and Japanese investments in strategic assets such as ports, Sri Lanka helps achieve US objectives of indirectly ‘policing’ the region through its allies. This in turn relates to the US’ efforts to counter the rise of China. It is no longer possible to disentangle infrastructure development from geopolitics, it seems.